You’re reading 4 Tips to Raise a Confident Kid, originally posted on Pick the Brain | Motivation and Self Improvement. If you’re enjoying this, please visit our site for more inspirational articles. It’s easier, today, for a 10-year-old kid to set up a Facebook account than to learn how to speak up for themselves. Two of my girlfriends were kindergarten and school teachers, and I’m kind of familiar with the abuse kids get every day from their parents, friends, and teachers…. It’s insanely annoying. Your goal is to raise a competent, totally independent, young adult who can face life on his own and get things done, which means you should be their closest coach and not the one who does their homework just cause they said they don`t love maths. Ever seen a coach doing the drills for his players? No, he or she may illustrate, but they don’t play the whole darn game. You, like a coach, want to be on the sideline to instruct, praise after wins and lift up after losses. You also want to pay close attention to your kid`s self-talk. How they deal with setbacks will make or break their future, and your role is to pave the road for more positive self-talk. Lecture them on how trying once or twice rarely pays off, show them the importance of hard work through stories and examples, and more importantly, be a role model when it comes to hard work. One of my favorite books is The Compound Effect by Darren Hardy, the founder of Success Magazine. In one chapter, Hardy talks about his father (also a football coach) who raised him on his own after he and Hardy`s mother got divorced, and it`s one of the most inspiring parenting stories I`ve ever read. His father was very disciplinarian; from exercising together at 6 am each day to celebrating young Darren`s grades with ice cream and money. The old man played carrot and stick pretty well, and his son was grateful for the way he was raised (plus he made his first million before reaching 21). Vulnerability and self-compassion are some of the most frowned-upon terms between most people. 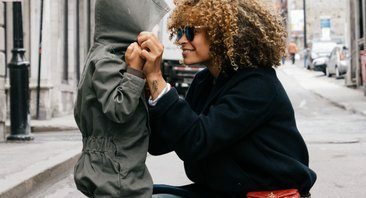 Both words feel kind of “girly” especially among men who grew up on “man up” and “grow some balls.” But the truth is: EVERYONE needs more vulnerability and self-compassion in their lives —including you and your kids. Encourage your kid to speak about their feelings and tell you how they feel and why. Let the kid speak freely about their dreams without judging him. We judge someone`s confidence with how comfortable they feel around people, so it makes sense to teach your kids some social skills right from the get-go. In How to Be a People Magnet by Leil Lowndes she mentioned a friend whose girls were exceptionally gifted at connecting with people. When asked, the friend revealed that she played a “Guess How I Feel” with her daughters every night. She`d simply draw an emotion on her face, and they had to guess what it was, and soon they picked up the skill of identifying how others feel and they could connect deeply with people. If they have a crush on someone at school, encourage your kid to speak to that crush. At the groceries, let them hand your cash/credit card to the cashier. If a teacher makes fun of them, tell them to speak up and tell them you have their back. Finally, ask them to make eye contact with people and with you whenever you speak. Shying away from making eye contact is often seen as a sign of insecurity and lack of confidence. One of my best friends was too shy at school but he changed his social life through some dating tips. I once saw him play a gazing game with his 9-year-old boy in the car. Each time little Ryan maintained eye contact with a passenger till they break it first, he received a point. And 10 points meant he`d stay up late for half or one hour. When I have kids, I`ll definitely play that game with them. I love it. You don`t want to raise a bully, I totally understand. But your kids must learn how to kick some asses when they need to. There are many types of martial arts but I prefer Aikido, Karate, and Cardio Kickboxing if your kid is overweight. I grew up practicing Aikido — if you grew up on Steven Seagal`s movies then you`re familiar with the term— then I fell in love with Brazilian jiu-jitsu. So, from my experience, there`s nothing more confident than knowing that you can defend yourself when you need to. Other benefits of martial arts are self-discipline, proper breathing, and extreme patience. Aikido, for instance, is all about mindfulness, focus and disrupting other`s balance while keeping your own. And I believe your kid needs those traits to grow up as a stable, confident, and successful adult. You’ve read 4 Tips to Raise a Confident Kid, originally posted on Pick the Brain | Motivation and Self Improvement. If you’ve enjoyed this, please visit our site for more inspirational articles.